Despite recent conciliatory gestures between the presidents of Brazil and Venezuela, Brazil's Senate has shown a new determination to block full membership for Venezuela in Mercosur as part of the fallout from the revocation of Radio Caracas TV's license. Venezuelan President Hugo Chavez said this week that Venezuela and Brazil are friends, and that he appreciates Brazilian President Luiz Inácio Lula da Silva's recent statement to that effect. However, this attempt at reconciliation is not likely to overcome the incident between Chavez and the Brazilian Senate, and could lead to a delay or even denial of Venezuelan entry into South America's main trade block Mercosur (Argentina, Brazil, Paraguay and Uruguay). The current troubles between Venezuela and Brazil began May 30, when Brazil's Senate issued a resolution condemning Chavez's May 27 decision not to renew RCTV public broadcast license. Chavez responded by calling Brazil's Senate a "parrot that just mimics Washington," at which point President Lula said Venezuela should mind its own business. Members of two of the largest parties in the Brazilian Congress, the Brazilian Social Democracy Party and the Democrat Party, started voicing opposition to Mercosur membership for "a country that cannot respect disagreement in a civil fashion." Venezuela's entry has yet to be approved by legislative bodies in both Brazil and Paraguay. In a more conciliatory tone Lula said Hugo Chavez' decision not to renew the broadcast license for 53-year-old television channel RCTV was as "democratic" as it would have been the likely renewal of the permit. In an interview with Folha de S. Paulo, Lula said "I think we cannot turn this into an ideological matter… The State has the capacity to grant or not the license," but he then went on to criticize Chavez' attacks against the Brazilian Senate, and warned that this could hinder Venezuela's Mercosur membership. "When you make a mistake in politics who looses? Whoever makes the mistake. And why? Because the protocol for Venezuela to join Mercosur has to be passed by the Brazilian Senate. I want to believe that Chavez is well aware that this will be far harder now." According to Lula, to make the Brazilian Senate endorse Venezuela's membership in the South American bloc "will require much more efforts from us to convince (Brazilian lawmakers) that a misunderstanding, a verbal clash, cannot endanger a project for the region." Lord of the FliesÀ¢€Â is a literal translation of the name of the biblical name Beelzebub, a powerful demon in hell sometimes thought to be the devil himself. Venezuela doesnt care what Brazil thinks, they will take what they want. It is the State that is important and Chavez is the State. Like Petrobras in Bolivia, or the natinalization of oil interest in Venezuela. He Chavez is king, and by declaration will decree. What is the Brazilian Senate to such a man. He does not care. He Lord of S.A. He is Lord Of The Flies. Certainly, the decision to close this rank US puppet station is a good one, as I see it. To threaten Venezuala because of this is a motion that is foolish. Brazil wants to be the leader of SA. So be it. But to follow the line of Washington is to court disaster. AES, I have been trying to translate this into politically correct Portuguese. I think that the right translation is “Lorde das Moscas”. I think it is funny,unless my compatriots come out with an alternative! Henceforth Chavez is known as “O Lorde das Moscas”,the future emperor of SA. The article headline…is full of lies !!!!!! It is not because of the Venezuelian TV shutdown….but because of what Chavez saiD…..AGAINST BRAZILIANS !!!!!! 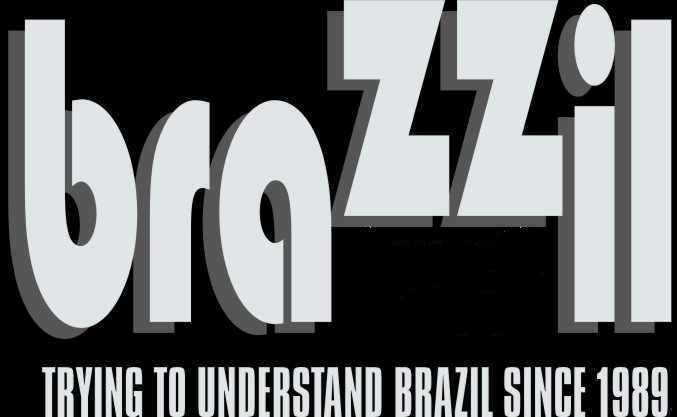 Distorting and hiding the truth through contradictory statements is…..A BRAZILIAN SPECIALTY !